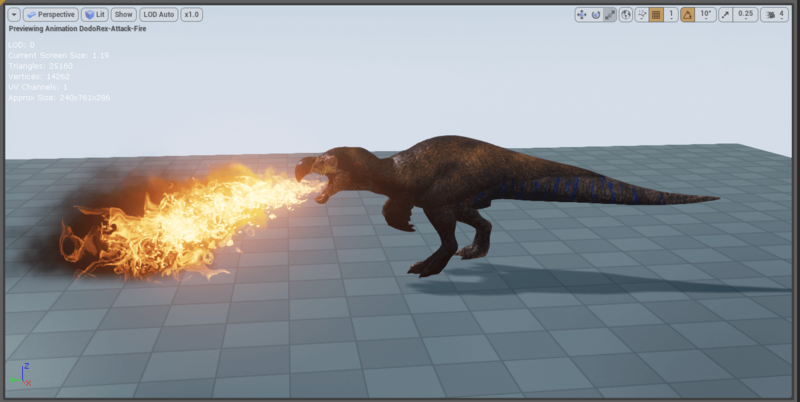 With the upcoming ARK: Fear Evolved event getting closer and closer, more and more data is found in the devkit. 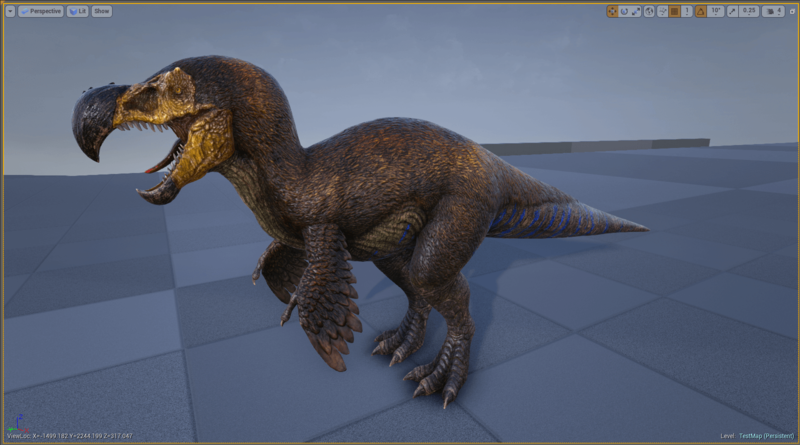 Today we will show you some images of the upcoming DodoRex! 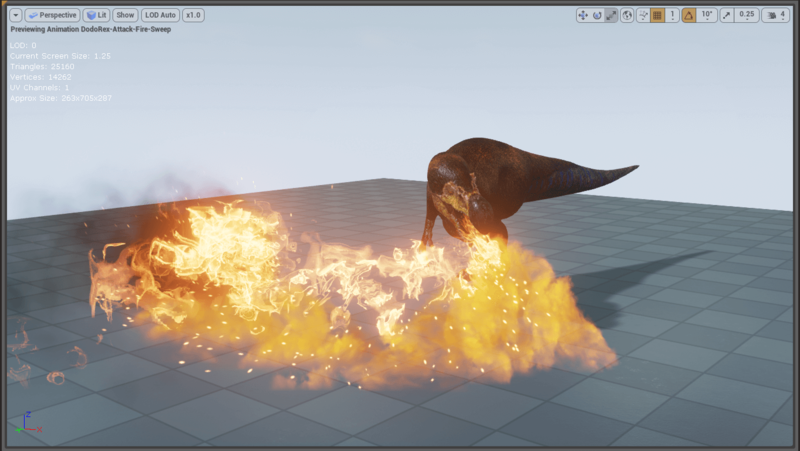 More pictures will be added in the future, but for now you can already check how its colors are and even take a look at its fire-breath attack! 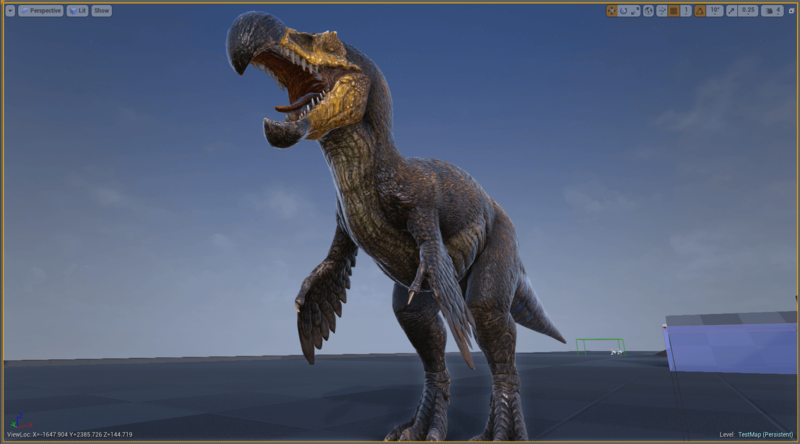 We can’t wait to see the DodoRex in game, how about you? We can’t currently tell whether it will be tameable. 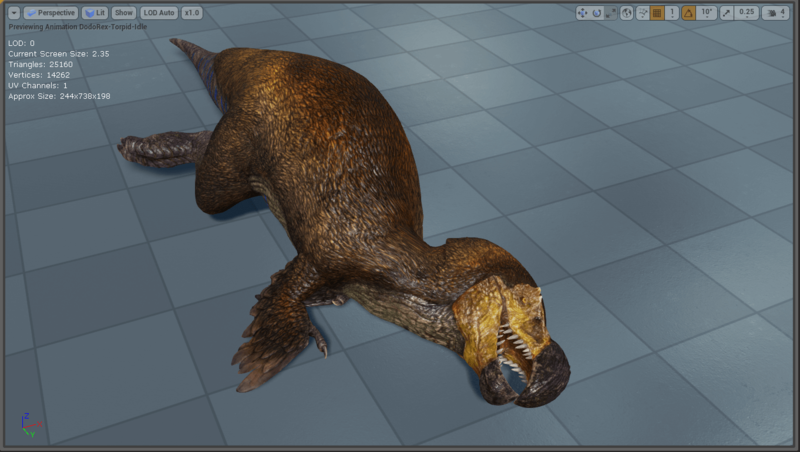 The devkit shows torpor animations, which assumes it is, but at this point we cannot be 100% sure (but it looks promising). Besides the new dodorex, also a couple of new items are introduced (e.g. the industrial forge, bunk beds, and more). Don’t forget to check those new items out in this post! 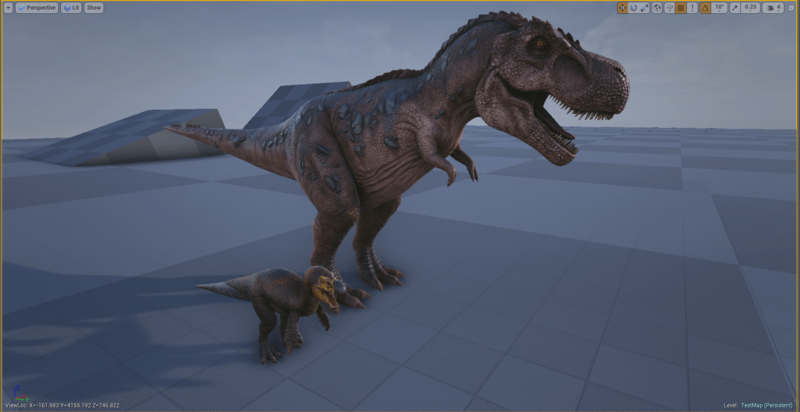 Below you can find a current comparison between the Dodorex and the Rex. 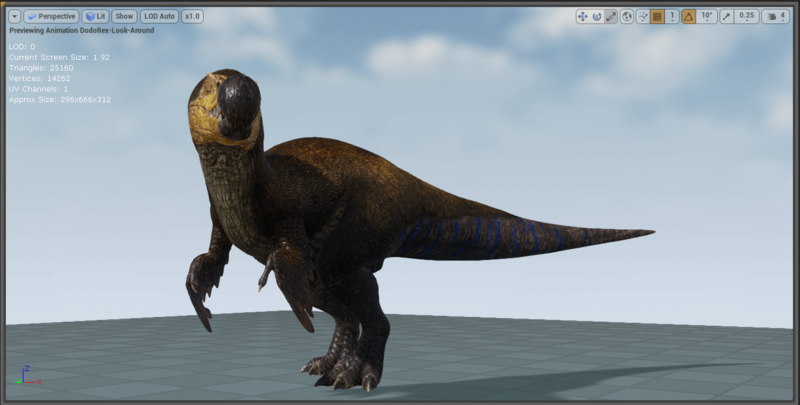 However, the Dodorex is currently only a mesh, which means that this is not its definite size! This picture is just for fun, but it will probably get bigger when it is actually released in-game.